Lakes have served as backdrops for quite a few memorable movie sequences. From dramatic love stories, to intense fight scenes, everything is more spectacular by the water. Here are 10 lakes that served as filming locations for famous movies. Minor spoilers ahead. If history has taught us anything, is the fact that great movie sequels are rare. The Godfather: Part II is an exception, and it was close to never being made, because Francis Ford Coppola was exhausted from the first movie. The film series boasts too many superlatives to count. For example, Robert De Niro and Marlon Brando are the only two actors to receive an Oscar for playing the same character, Vito Corleone. Also, the first two films currently rank 2nd and 3rd in IMDB’s top 250 list. The house from which Michael ran his mafia business is located on the shores of Lake Tahoe, and is a real-life property built in 1938 by the famous industrialist Henry J. Kaiser from San Francisco. It is located on Lake Tahoe’s western shore, in Tahoe Pines, California. Nowadays, the property is called Fleur du Lac and is a private condominium development. Lake Tahoe is a gem of a lake, located on the border between California and Nevada, at an altitude of 6,225 feet (1,897 meters). It’s the second deepest lake in the United States, reaching a maximum depth of 1,645 feet (501 m). The lake is a major tourist attraction in all seasons. Fun Fact: Curious about how much Michael Corleone’s home would be worth today? There are 2 homes currently listed for sale from the Fleur du Lac estate, one priced at $4.3M, and one at $5.2M. It’s the love story between Anakin Skywalker and Padmé Amidala, and it took place at Lake Como in Italy. 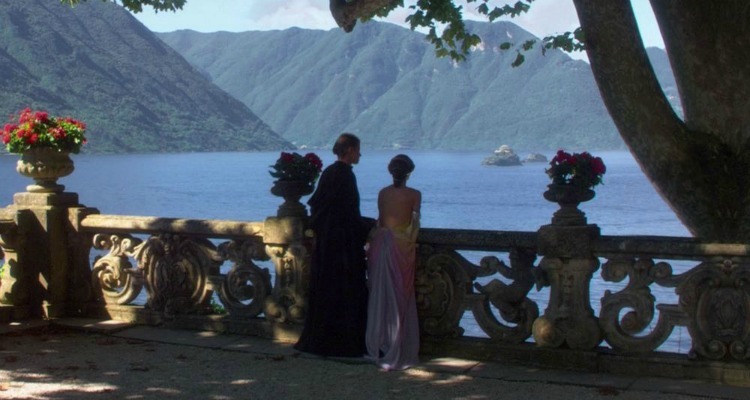 The backdrop for the Naboo scenes is Villa del Balbianello, which is located on the tip of a small wooded peninsula on the western shore of the lake. The filming here took place on the first week of September 2000 and lasted four days. The villa which was built in 1787 is famous for its elaborate terraced gardens. 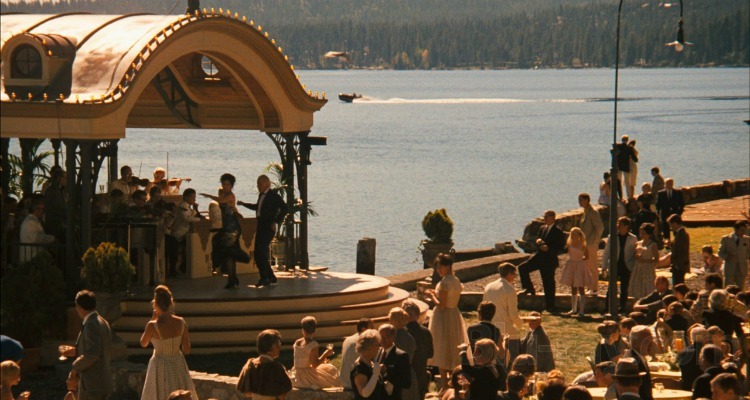 It was used in several other movies, including “Casino Royale” and “A Month by the Lake”. The beautiful villa is open to the public. Lake Como is widely regarded as one of the most beautiful lakes in Europe. Many celebrities have or have had homes on the lake’s shores, including Madonna, George Clooney, and Sylvester Stallone. The lake is Saint Mary Lake, located in the spectacular Glacier National Park, Montana. That small islet you see at the beginning? That’s Wild Goose Island. The road seen in the scene is called Going-to-the-Sun Road, and it does actually close down during winter. The film, directed by Stanley Kubrick and starring Jack Nicholson, is considered a masterpiece by many, a true classic of horror cinema. The original “Planet of the Apes” was released on February 8th, 1968, and is considered groundbreaking for several reasons, including its prosthetic makeup techniques by artist John Chambers. The early scenes in the movie that involve the spaceship crash-landing are filmed at none other than Lake Powell, the second largest man-made reservoir by capacity in the United States. 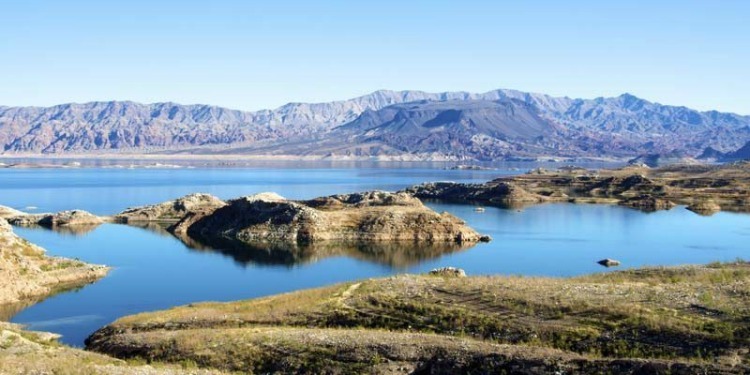 The reservoir straddles the border between Utah and Arizona, and is a major vacation spot, attracting 2 million visitors each year. Interesting fact: at the time of filming, Lake Powell was much lower than it is today. The average elevation for Lake Powell in 1967 was 3,522 feet, 88 feet (or 27 meters) lower than its current 3,610 feet. The highly acclaimed “Hunt for Red October” is an espionage thriller film released on June 12th, 1990. It was directed by John McTiernan, and starred, among others, Sean Connery and Alec Baldwin. The movie is based on Tom Clancy’s bestselling novel of the same name, which was released in 1984. Without giving away too much, the film involves a high-tech Soviet submarine led by a rogue captain, who wishes to defect to the United States during the late Cold War era. Lake James was used for the movie’s final scene. It is a large reservoir in the mountains of Western North Carolina, covering an area of 10 square miles (26 square kilometers), built between 1916 and 1923. Bonus movie: Lake James was also used as a filming location for “The Last of the Mohicans (1992)”. The famous rowing race at the Henley Royal Regatta in “The Social Network” was filmed at Dorney Lake in England, located near the village of Dorney, Buckinghamshire. The lake is part of a world-class rowing and canoeing center, and also hosted the Rowing and Kayak events during the Olympic and Paralympic Games for London 2012. As for the movie itself, it tells the story of Mark Zuckerberg, who created the social network site that later became known as Facebook, a story that’s surrounded by controversy and personal conflicts. The movie “Wild”, starring Reese Witherspoon, chronicles one woman’s journey as she tries to recover from a recent personal tragedy. Reese Witherspoon’s character, Cheryl Strayed, decides to hike the 1,100-mile long Pacific Crest Trail alone. The movie is based on a true story. Needles to say, the movie is filled with gorgeous vistas, and some of them are filmed at Crater Lake, Oregon’s iconic jewel. Besides being incredibly beautiful, Crater Lake is also the deepest lake in the United States, reaching a maximum depth of 1,949 feet (594 meters). Interesting fact: The movie is an adaptation after the book “Wild: From Lost to Found on the Pacific Crest Trail”, written by Cheryl Strayed, which reached number 1 in the New York Times Best Seller list. “Into the Wild” is also based on true facts, and tells the story of Christopher McCandless, an adventurer who gives up his comfortable life and starts a quest for freedom into the wilderness. His adventures take him from Georgia to Alaska, through South Dakota, Arizona, Nevada, Mexico, and California. At one point, the main character camps on the shores of Lake Mead, which is the largest reservoir in the United States by capacity. Located on the Colorado River on the border between Arizona and Nevada, Lake Mead has been shrinking constantly, reaching a new record low in 2016. On May 25th, 2016, the surface level of Lake Mead at the Hoover Dam stood at only 1,074 feet (327 meters) above sea level. 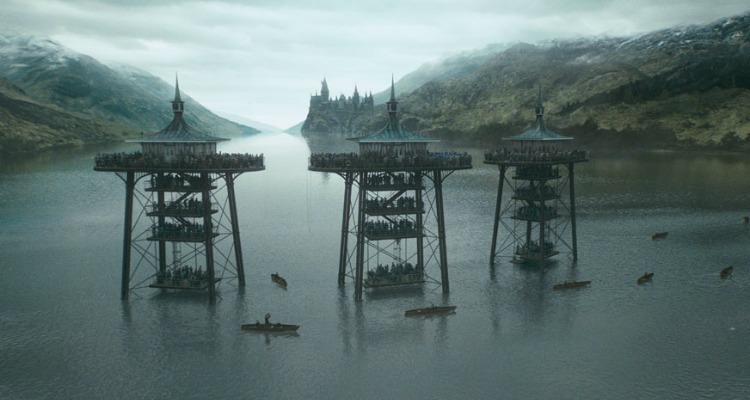 The fictional Black Lake near Hogwarts is actually Loch Shiel, which has been used on various occasions throughout the Harry Potter films as the backdrop for Hogwarts. Harry Potter is the second highest-earning film series ever, with a gross revenue of $7.72 billion worldwide. As for Loch Shiel, it is a very beautiful lake in the Scottish Highlands, surrounded by picturesque mountains to the northeast and rough pastures to the southwest. It is also one of Scotland’s largest inland freshwater lakes, and is considered one of the few remaining areas of true wilderness. “Star Wars Ep. VII: The Force Awakens” is the highest grossing movie ever in the United States and ranks 3rd worldwide, with more than $2 billion in total earnings. There is actually a YouTube video created by Colin Bell, that reveals the Lake District spots which are featured in the movie. Derwentwater in the Lake District, Cumbria, serves as the backdrop for some stunning fight scenes in last year’s blockbuster. In one of those scenes, the Millennium Falcon can be seen sweeping above the majestic waters of Derwentwater. The Lake District is a beautiful mountainous region in Cumbria, England. Nearly all of it is part of the Lake District National Park, which was created in 1951 and is the most visited national park in the United Kingdom. There are 21 large bodies of water in the Lake District, including Windermere, Ullswater, and Derwentwater. Fun fact: Although it doesn’t show up in IMDB’s filming locations page, Colin Bell’s video also shows that Thirlmere was also used in the movie.